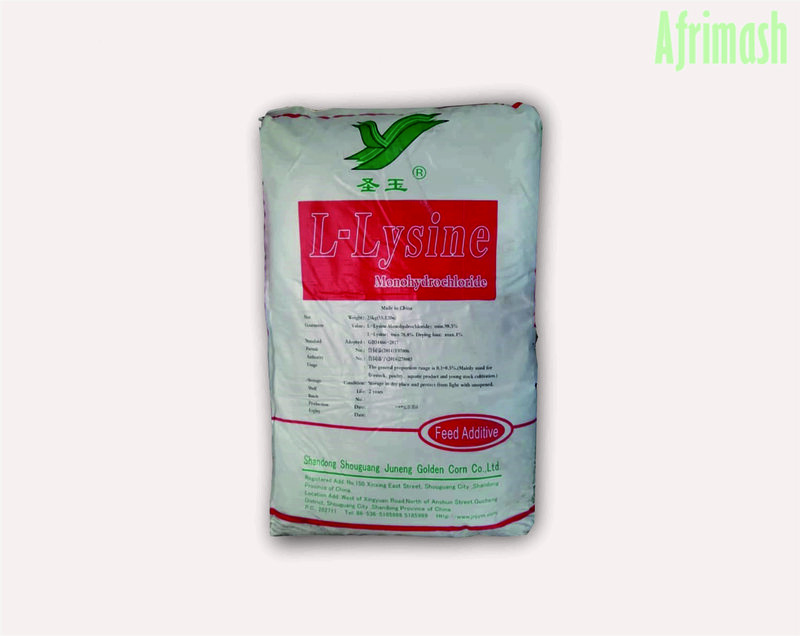 L-Lysine is an essential amino acid indicated for animal growth. It cannot be synthesized in sufficient quantities by the body, therefore, it has to be supplemented in livestock feed. This feed additive is made from natural raw materials which are widely used in the livestock feed industry. 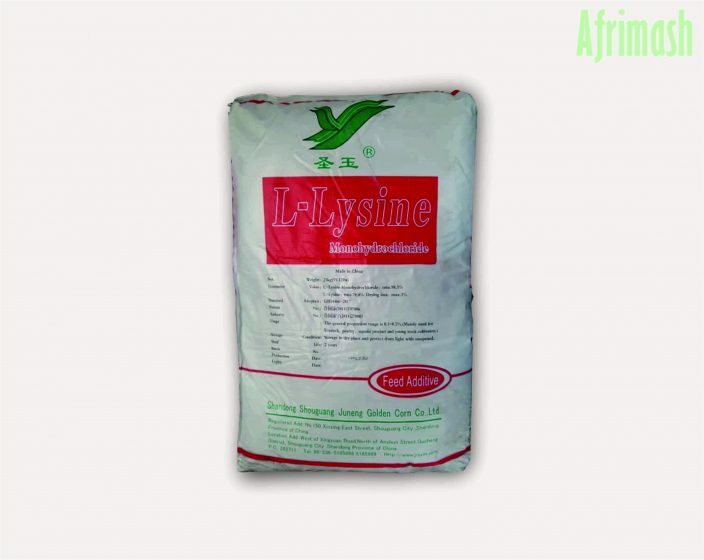 L-Lysine is an important part of a well-balanced animal nutrition program, including swine, poultry, and aquatic feed. Lysine is the first-limiting amino acid in corn-soybean diets for swine and second limiting, after methionine, in poultry. This feed grade additive has a minimum purity of 98.5% L-Lysine HCl and 78.8% L-Lysine. Essential amino-acids lay the groundwork for meeting livestock needs. However, as feedstuff alone, often fall short of supplying the needed quantities, supplementing the amino-acids into diets prove a cost-effective option. Advantages of supplementing feed with essential amino acids in customized diets include improved weight gain and maximized feed utilization etc. Despite the option of supplementation, it is critical to ensure a balance of nutrients as the absence of one essential amino acid reduces the capacity of an animal to synthesize additional proteins. thus, this leads to the inefficient use of feed nutrients, retarded/slow growth and the consequent economic loss. Corn, which comprises the largest portion of monogastric diets, is low in lysine, thus, to meet the amino acid requirements of swine and poultry, high-protein ingredients such as soybean meal and animal by-product meals are blended with corn. However, L-Lysine as a feed additive help improves the flexibility with utilizing non-traditional feed ingredients, as well as improve profitability without the consequent loss of feed quality. Since excess protein was used in the past to meet up with the requirement of the first limiting amino-acid, this cost-effective approach in meeting the lysine requirement of livestock-by reducing the amount of costly-high-protein diet previously fed to livestock is well recommended. Poultry: Supplementation of the diet with lysine improves the breast meat yield. Store in a cool dry place, thus protect from light.